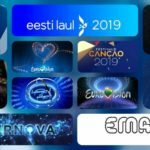 The Latvian national broadcaster, LTV, revealed the dates on which the country’s Eurovision national selection process of Supernova 2019 will unfold in order to determine its Eurovision 2019 act. According to the process, 6 acts will compete in each semi final round, while only 2 of them will qualify to the final. However, LTV reserves the right to pick two more acts from those who were eliminated and qualify additionally to the final. Latvia joined the Eurovision family back in 2000. The country on its debut participation, with Brainstorm finished in 3rd place with the song My Star. It didn’t take long for Latvia to win the contest, since in 2002, with Marie N’s I Wanna the Baltic country was crowned winner. Latvia only participated in 2002 thanks to the withdrawal of Portugal from the contest, as Latvia’s poor result in 2001 had relegated them from the 2002 contest. From 2009 to 2014 Latvia met disappointing results as it failed to qualify to the Grand final. In 2015 achieved its best results the latest year with Animata and her Love Injected which ended in 6th place. 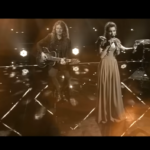 In the latest edition the country was represented by Laura Rizzotto with her song Funny girl which finished 12th in the semi final failing to qualify to the final . Stay tuned on the INFE Network for more news on the Latvian national selection of Supernova 2019 and updates on the forthcoming Eurovision Song Contest in Tel Aviv.